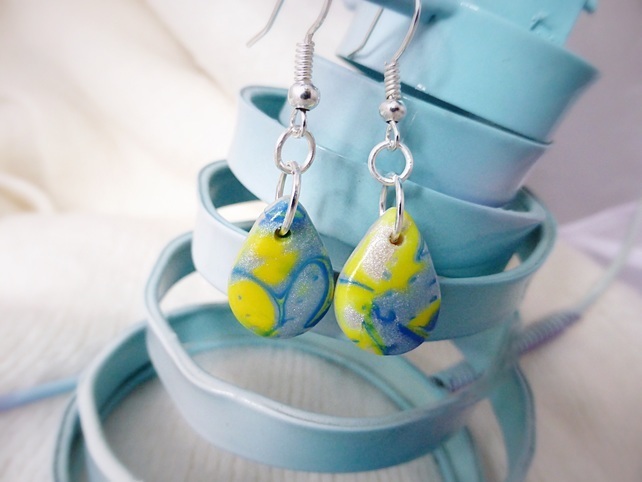 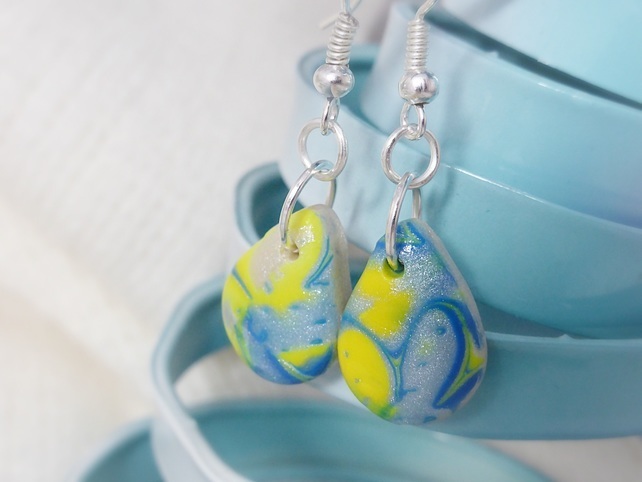 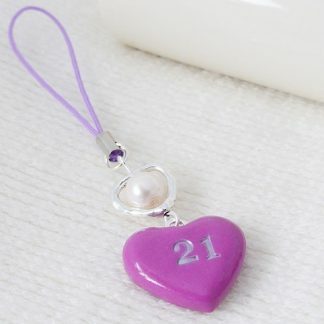 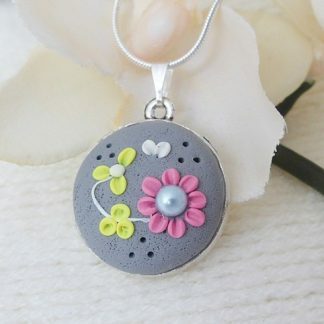 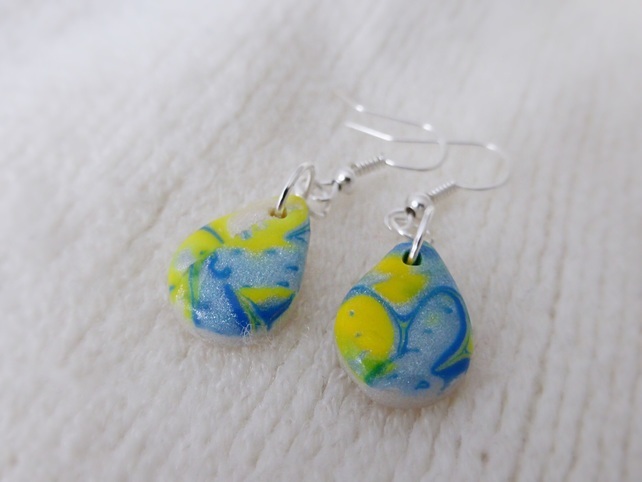 Dainty Teardrop shaped earrings lovingly handcrafted from Polymer Clay. 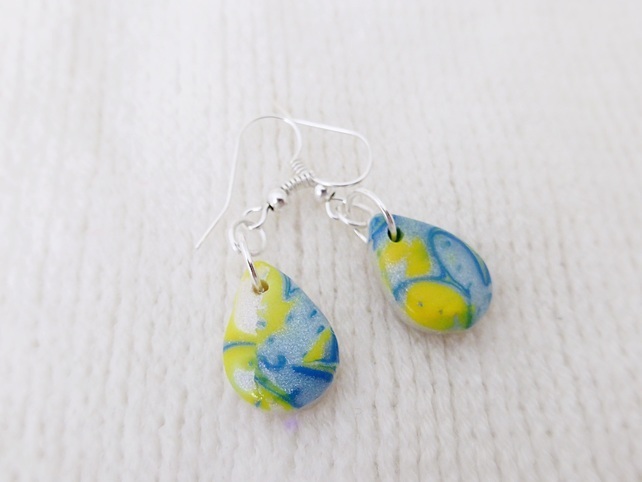 I love using the Mokume Gane technique to create unusual and eye catching designs. 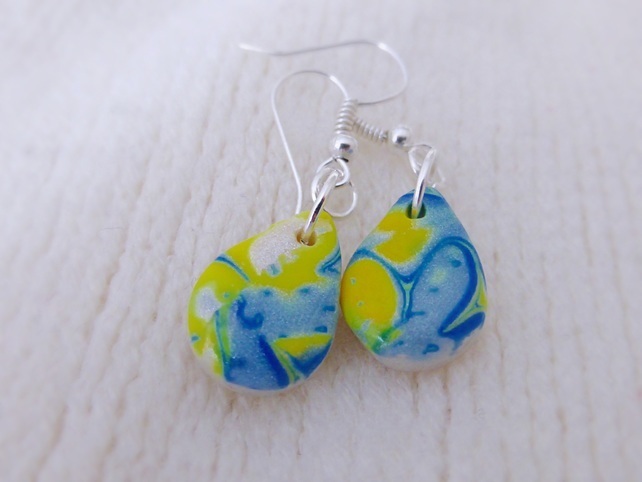 I have blended Blues and Yellow with a touch of pearl to give a beautiful iridescent shine. 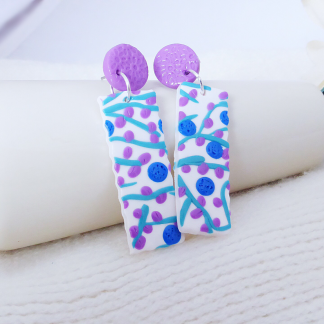 Finished with a gloss glaze and silver plated earring findings.